Your looking for a Samsung Galaxy Tab A 9.7 tablet HDMI cable, so that you can connect it to the TV or a monitor. Unfortunately, no matter how many cables you have tried, either the cable connection does not fit your device, or after you connect the cable the picture does not show on the TV. The reason for not being able to connect the cable or get a picture onto the TV is that neither the Samsung Galaxy Tab A 9.7 tablet can output video via a cable. Is there a way to connect the Samsung Galaxy Tab A 9.7 tablet to the TV? Fortunately it is possible to mirror your Samsung Galaxy Tab A 9.7 tablet onto the television. There are actually a number of methods of doing so, and they all use wifi to do so. Let go through your options. Once the Amazon Fire Stick TV or the Roku Streaming Stick is set-up you will be able to mirror your screen from your Samsung Galaxy Tab A 9.7 tablet. You will also be able to send videos, movies and pictures to your TV without mirroring the screen using compatible apps such as YouTube. 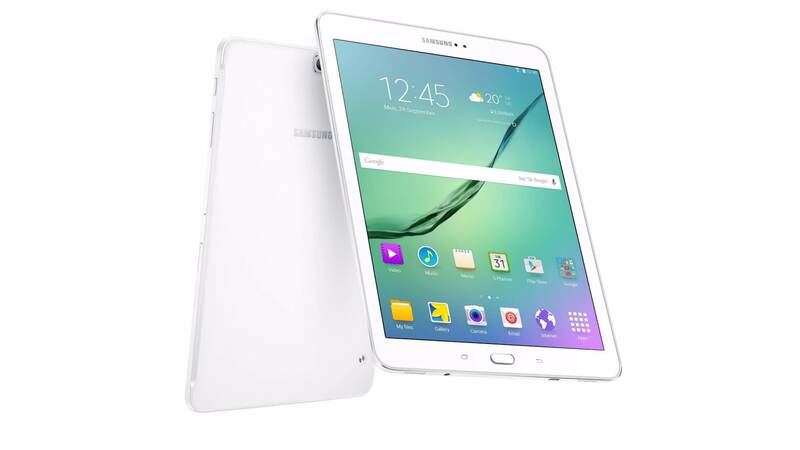 How to mirror the Samsung Galaxy Tab A 9.7 tablet onto the television? On the Amazon Fire Stick you just need to hold the home button on the remote and select mirror screen. Then your tablet go to settings and then display, on the top right hand corner is 3 dots, select the 3 dots and enable wireless display. Next connect to your Amazon Fire TV stick. On the Roku Streaming stick, Go to Settings>System then Go to Screen mirroring (beta) and enable screen mirroring. On your tablet go to settings and then display, on the top right hand corner is 3 dots, select the 3 dots and enable wireless display. Next connect to your Amazon Fire TV stick. Will these devices work with my TV? The Amazon Fire Stick TV and Roku Streaming Stick only require your television to have a HDMI port, your TV does not need to have wifi capabilities. The Amazon Fire Stick TV and Roku Streaming Stick does however require wifi to function, therefore you will need to have wifi available.